Interior Designer G. Thomas Catalucci, ASID and The Guilding Light - Aspinwall, Pennsylvania, bring together over 75 years of design excellence in a joint collaboration of creative minds. Your next interior design project deserves their creative collaboration. Following graduation from La Roche College with his degree in Interior Design, Thomas began his career with the former J.W. Stitt Co. in New Brighton, PA. Later he relocated to South Florida where he continued to perfect his design talents and in 1987 he established his own design firm in Boca Raton. 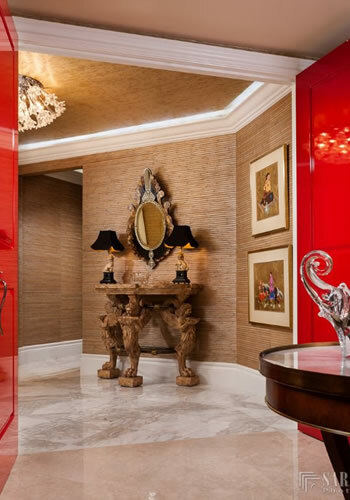 For over three and a half decades, Thomas has been designing unique, highly personalized interiors, transforming residential living spaces into visionary works of beauty. By ensuring personal attention and a total focus toward his client's final satisfaction, he has developed the reputation that continues to drive his business today. Thomas' work can be found in many distinctive homes from the suburbs of Boston, New York City, and Chevy Chase, Maryland, to Fisher Island - Miami, Boca Raton, Fort Lauderdale and the Palm Beaches of South Florida. Mr. Catalucci is a Professional Member of the American Society of Interior Designers, and is licensed by the Board of Architecture and Interior Design, FL Lic. No. ID0001192.